Items 29- out of displayed. Do you know what is the most important as a trader? It’s to have your own bias, opinion, but at the same time to be “open minded” and be willing to listen the market and adjust the view whenever that’s needed. My full time job is analysis, so trading is like a half-time job I would say, because I am not constantly risking my money. Analysis its very important for me, and I have to spent hours before I find some trade set-up, if there is any! Normally I analyze 80-90% of the time, and trade only 10%, so even trading requires a lot of work, no doubt! As a trader, its important to consider both sides of the market, bull or bear, no matter what my analysis says, because we don’t know what market will actually do, so it’s good to be prepared rather than be surprised. 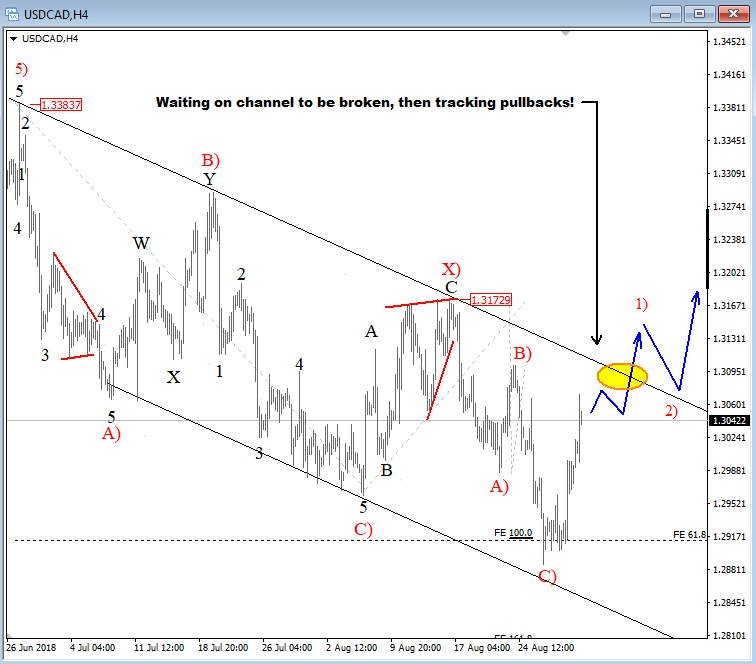 With that being said, I am tracking EURUSD and USDCAD pairs for next week, but what is interesting is that I have EURUSD on my watchlist for possible longs on pullback, but at the same time also looking at USD for possible longs against CAD. I have no idea which one I will trade next week, but what I like about them is the price structure, but as always I have to be patient here before I make decision. 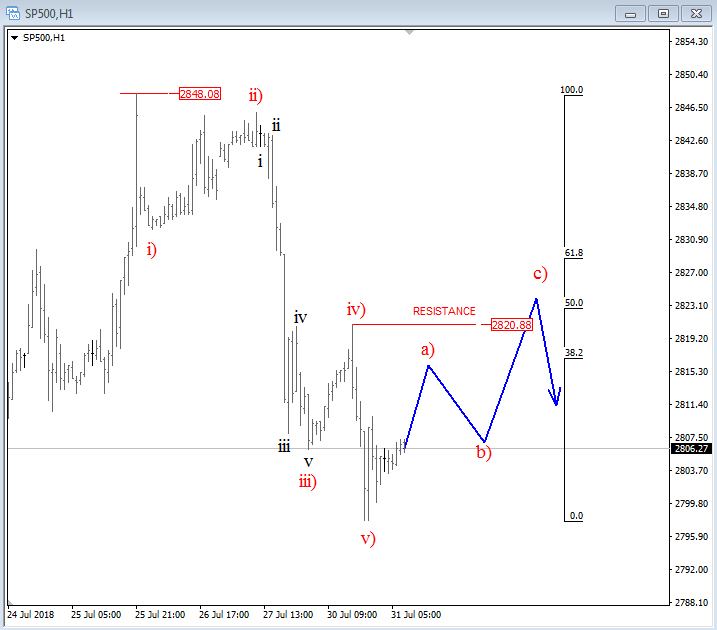 On EURUSD we can see a very nice five wave recovery from 1.1300 area into 1.1730/50 resistance where wave A can be done, so with that being said I am interested in longs but after wave B pullback. 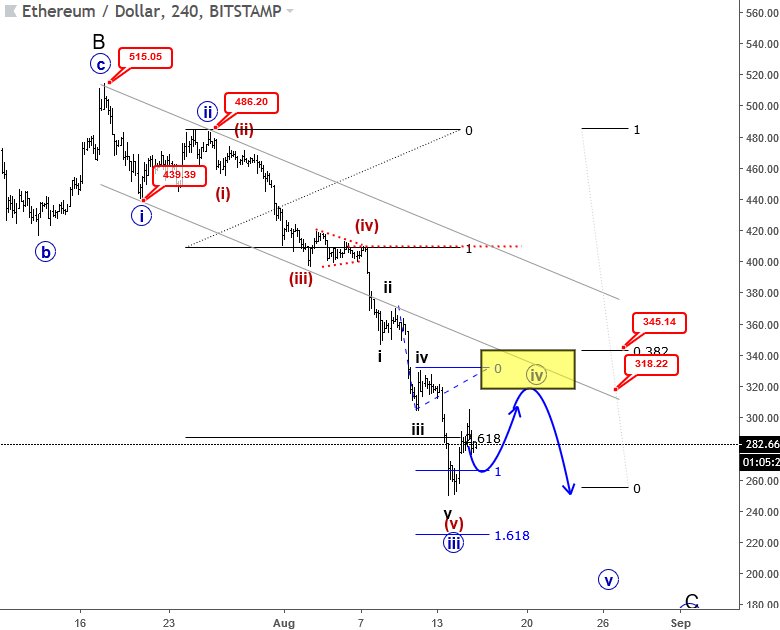 Corrective wave B usually retraces back to former wave four and at least for 38.2% so I definitely need to see pair trading around 1.1530/50 before I may consider longs. So nothing useful yet, but I have it on my radar screen. Then next pair that I have it on my list is USDCAD that I would be willing to buy since move down from June highs unfolded in seven swings. But just because I can count complex correction down, it doesn’t means that decline is really completed. As always, I need bullish confirmation, and that would be only if pair breaks above upper trendline resistance. In such case, I would be interested for longs on a pullback. So, as you might noticed I have two different ideas there for next week; dollar long or dollar short and I have no issues with that since I am tracking this market from a trader’s perspective. Its not about being right; its about trading in the direction of market moves. So if dollar will be strong next week, I am prepared! If dollar falls, I am ready as well! Trading and analyzing is not the same thing, but I cannot imagine trading without making an analyzes first. Cable is turning down this year after a very big but overlapping recovery from 2016 lows, labeled now as completed red wave IV) because of a sharp decline out of an upward channel. 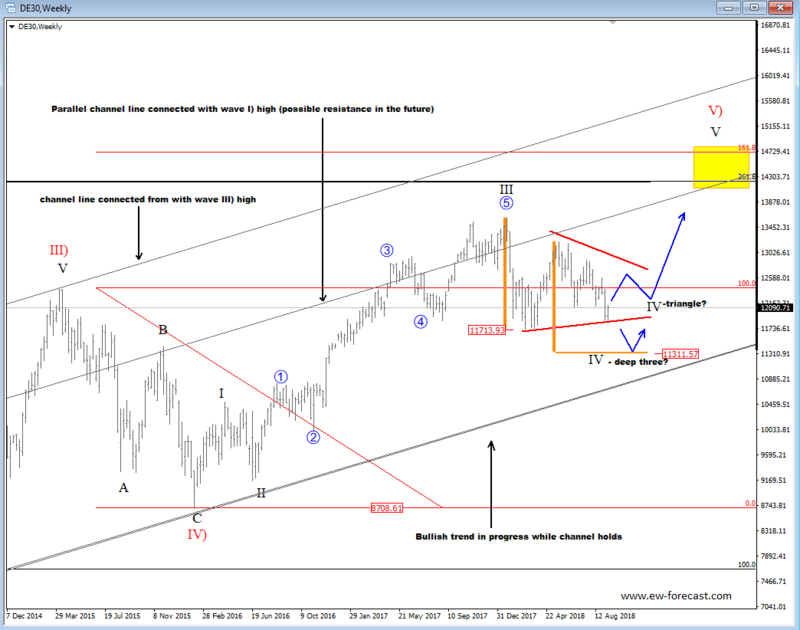 However, price has recently found some support around 1.2770 from where we may see a new corrective rally labeled as wave II, which can make 600-700 pips pullback based on past price movements and ranges. This month I have been talking and tracking EURUSD and GBPJPY a lot, and also made video analysis (CLICK HERE) and highlighted bearish patterns that I was observing. So far, market moved very nicely, into important levels so I decided to make a new video update. Ethereum is coming sharply to the downside, making an impulsive decline from July highs which is not over yet. An impulse is a five wave structure, where third wave is normally the sharpest and longest and this is exactly what we can see down from 485 level. It's an extended decline in five legs that is moving into some interesting Fib. support extensions here around 220/260, where can be a new potential base for current blue wave three. Bounce into wave four may show up soon, and can stop at 318-345 resistance. We understand that there are a lot of traders and investors waiting on bottom to form, but for now that's not the case yet so we have to respect what the market is doing. But we of-course would aggressively shift back to bullish mode once we see an impulse up from the low! This is key for any change in trend, in any market! 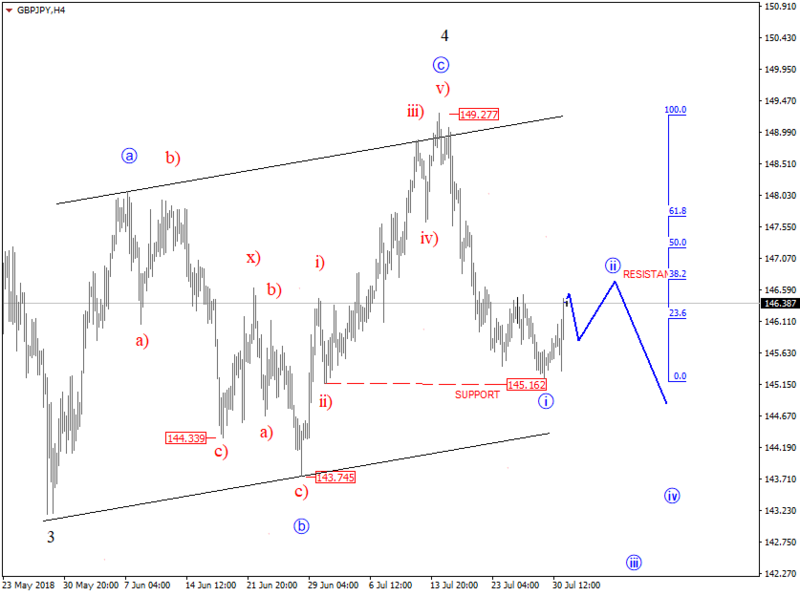 I am back from a two week vacation when I left you with some of my views on EURUSD and then also GBPJPY. So here is a short update on these markets in video format. 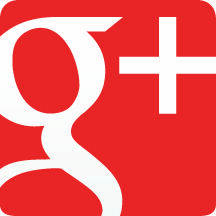 Traders, good morning with a quick outlook from vacation. I am in Bale/Valle with my family, having a great time in mobile house, but like every year its very difficult not to look at the market price action. So after a quick look at quotes I noticed interesting potential risk-off developments on S&P500 Futures where I see five wave fall on intraday chart, which means more downside may come soon. If that's the case then in risk-off mode we may expect strong JPY. 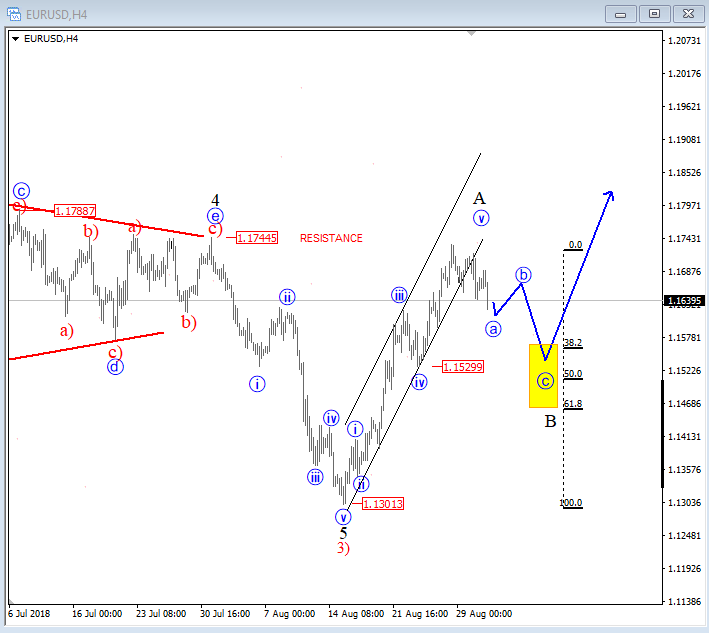 I am looking at GBPJPY for a pullback after that nice drop from wave C highs that suggests a completed wave four of a higher degree.